SEO Case Studies. Highlighting the success we’ve brought our clients. In 2018 Peak District SEO was engaged by a small wine merchant to try to raise their visibility. We were informed from the start that they had a limited budget and limited manpower resource in terms of in-house support for Social Media and blogs. Investigation told us that whilst these limitations could threaten the long term sustainability of the project, there was some growth to be had. This proved to be the case. In the end, we managed to take a small set of keywords onto page one as per the remit. We dominated the competition and could have done even better with more resources. Here’s what the customer had to say. The site was built on OpenCart and was already live. However, the business owner needed help to measure the effectiveness of the website. How Did Peak District SEO Help? Firstly we carried out a full audit of the website. We ascertained that the site was a basic Opencart build, customised with CSS to improve the layout and design, but it needed haster web hosting, SSL certificate and a few custom fixes. Once work was completed we’d significantly improved the site health scores. The site had minimal plugins or extension modules. It had not been built to SEO specs, just the customer design spec. The web developer spoke with us and asked if we could partner up to assist the client. We advised the developers to install a number of Opencart modules to add additional functionality. This added a way to track ecommerce functionality in a quick, easy manner. It’s amazing how many websites we see, even ecommerce websites that do not have Google Analytics or eCommerce tracking set up, and of course, it’s a vital tool in beginning to assess website performance. As with many eCommerce sites, there were often products that had a wide range of small variations. To ensure against google indexing the wrong variation, we set up canonical tags which point Google to the correct or “main Product” as opposed to the differing and fluctuating variations. We made sure that the website had an SSL certificate. In it’s simplest terms, this means having a web address that reads https, this is also an often overlooked feature that we see all too often in websites. If you are selling online, you need to have a secure website. People need to feel sure that when they enter their personal, private information online that it is securely encrypted. An eCommerce site without an SSL certificate can soon become a lame duck. Especially as Google Chrome now marks sites without one as ‘Not secure’. We set up analytics properly integrating it with Google Tag Manager for greater user behaviour tracking. In addition, we ensured that the Search Console was set up and connected to Analytics. This sharing of data between Google apps can help you to improve your site and quickly respond to errors. See our article on Google account unification to learn more. Sometimes the CMS you are using just doesn’t cut it. It doesn’t have the necessary features to do what you need it to do. It doesn’t matter whether you’re using WordPress, Magento, OpenCart, Shopify or another system, sometimes we need extra features. In this instance, we needed extra text fields. The openCart installation didn’t provide a suitable opportunity to add longer product descriptions. We had two options that would solve the issue. 1) Install an open cart module. 2) Write a bespoke code addition. The website hosting for this client was slow and causing problems. In addition, it was preventing web crawling from a number of SEO crawlers, making it more difficult to regularly and accurately asses the site health. In such cases. We always liaise with the customer asking them to speak to the host. Occasionally they ask us to step in with technical data. In this instance we spoke to the host several times about the issue without a positive resolution, subsequently, we recommended that the client with hosting providers. We hate dodgy web hosts, as you’ll see if you read our guest post for Green Frog Computing. Whether you are the site owner, the designer of the copywriter, when you work closely on a site, you need other people to look at it and critique it too. Why? Because humans miss things that are staring them in the face. In this instance, we noticed that the product filters weren’t functioning correctly. Whenever the key category links were clicked, the sidebar on that page was meant to show an open filter of the types of wine available. That wasn’t happening, instead, the site was showing the same filter on all pages. A quick recommendation to the developers and this was fixed, allowing greater access to products by users. We identified a wide range of technical SEO issues such as multiple versions of the site, lack of canonicals, no SSL certificate, non-mobile friendly elements and load speed issues. Some issues could be fixed by ourselves and others were passed to the web developer to fix. On-page SEO is our bread and butter. We fixed numerous issues such as thin content, lack of proper headings, image naming and labelling, internal and external linking and quality of the copy. We advised the company to run some Google ads for specific products. The ads had mixed results in terms of actual direct sales, however, they did help to increase brand awareness. When implemented correctly alongside Organic SEO you can see great growth for your business. The company were not really active on Social Media. This was mostly due to staffing issues. We advised them to look at automating Social media posting and to increase their visibility on specific platforms. Only some of the recommendations were implemented. The project was mostly successful. Like so many it was hampered by factors beyond our control, issues such as manpower and web hosting reduced the potential impact of the project. However, the site is still in a strong position in its local niche, and with continual applied best practice, should dominate completely within a year or so. Do you sell Alcohol or Spirits online? Want to increase your website’s performance? If you sell alcohol or wine online. Why not speak to Peak District SEO? You can expect a Free website review, which includes a PDF summary of your site as well as a user testing video that looks at what works well and what’s not working so well. Get in touch today! Just as I was launching Peak District SEO, I was doing some work as a freelancer for another agency. I needed the money whilst my business was getting started. A prominent PPI company needed SEO to raise their visibility with the impending deadline for new PPI claims coming up. The niche was extremely competitive and the owner was keen to compete with other key players. The campaign had been managed by a number of other freelancers before it came to me, they’d had mixed success. When I was handed the project, I made some basic changes to the process of optimisations which had a positive effect. I simply introduced a focus of a basic checklist, concentrating on SEO basics, such as copy length, image naming conventions, canonical URLs and formulaic Meta data. The image above shows a 30-day snippet during my work period. When competitive terms such as these get into the top 5 positions on the SERP it can be difficult to maintain upward movement. In addition to pulling up the page 1 rankings, I also managed to significantly increase the average ranking position of all the keywords tracked. The overall visibility of the site was increased by almost 100% in inside 3 months. In fact, by the 4th month, the client had overtaken all their other competitors. *I do not claim that all the improvements were exclusively a result of my work alone. The SEO work was part of a retained package and work by copywriters and PR people whose work definitely assisted the growth. My SEO strategy simply was the missing ingredient needed to deliver growth. Is your business in need of a visibility boost? Organic SEO is a great way to grow the visibility of your business online. If you’re serious about dominating your niche at affordable rates, get in touch with us today. We were approached by a small fashion retailer whose ecommerce website was not performing well and had low visibility in searches. Case studies like these aim to show that with the right steps, growth can follow quickly. In month One, we targeted the technical SEO issues that were holding the site back. In month 2 work began on fixing on-site issues focusing on brand products with margin. After a short period, less than 2 months. Their statistics are already headed in the right direction. We believe that Traffic increases can be a vanity metric. There’s no point increasing traffic without ensuring that the traffic brings qualified leads or sales. Sales monitoring was slightly trickier as the ecommerce tracking hadn’t been configured until we came on board. Whilst the figures are still pretty low at this time, the growth in this site is a testament to the strides that can be taken in a short space of time when optimisation recommendations are followed through and implemented. Focus on Organic SEO before wasting money on paid campaigns. Organic SEO provides the foundation to a strong, stable website that will convert traffic when you embark on paid sales campaigns. We believe Customers should only leverage paid sales campaigns once their website is fit for purpose. this will save money in the long run. It’s great to drive traffic to product pages and make sales, but if you can rank those pages organically, you’ll save budget to market products that don’t yet rank. If you have an ecommerce website and want to increase its visibility, drive traffic, and rank for more search terms, get in touch. Hands-on Tree Care approached us for a website refresh. Their original site was looking dated and was not bringing in enough leads each month. A new WordPress theme was built from the ground up, to ensure that the website was mobile friendly. We knew from google analytics data that more and more people were searching for the company using tablets and mobile phones. On page SEO work was deployed on the revamped the WordPress website as well as a Google Adwords campaign. The site is now mobile friendly, it loads faster, and has improved contact details and calls to action which is generating 3x more enquiries than before. Do you need a WordPress rebuild? Or just some fixes and a tune up? If so get in touch for a free quote. A well-known Watersports supplier came to us after experiencing a dramatic drop off in traffic and rankings. When the owners came to us, they were desperate for a turnaround. After conducting a Website review we discovered the site needed a lot of technical SEO and on-site work. We offered the company terms and began work. Within just a few months the overall picture was very different. Since then we have grown their revenue year on year. Example of one month ecommerce stats showing year on year growth. If you have an ecommerce website and need growth like this, get in touch for a free quote. 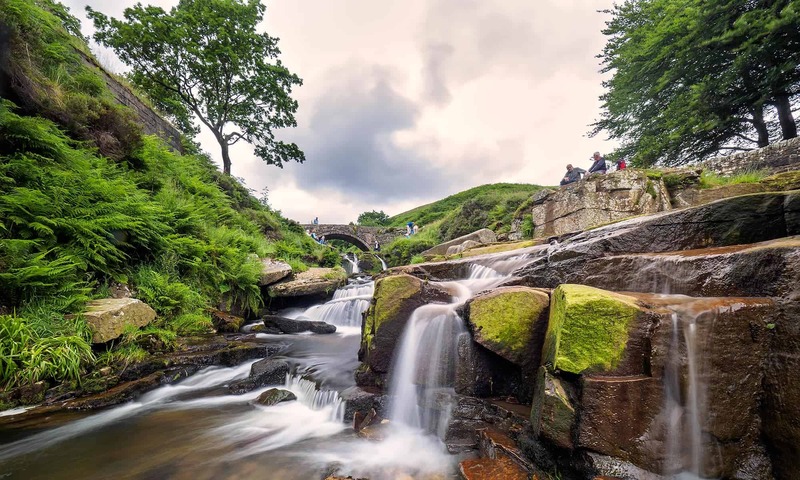 An outdoor activities company approached Peak District SEO for some advice, having slipped down the search rankings, despite being in business over 20 years. Their existing website was looking rather tired having been built several years ago. The existing WordPress theme that had been used was no longer ‘WordPress approved’. The theme was causing issues with security and plugin conflicts. After some initial technical SEO work to fix basic issues we revamped the WordPress website to bring it more in line with the sites of their direct competitors. Images were updated, the logo and blog were both refreshed. The site is now mobile friendly, it loads faster, and has improved contact details and calls to action which is generating more enquiries. Do you need a WordPress rebuild? Or just some WordPress seo fixes and a tune up? If so get in touch for a free quote. A well known construction materials supplier came to us with the goal of increasing revenue and sales. In the first three months of an Organic eCommerce SEO campaign, we helped grow their revenue 107.73% and push their conversion rate up to 3.01%. We also doubled their number of transactions. If you want to see your ecommerce store grow in a similar way. Get in touch today.